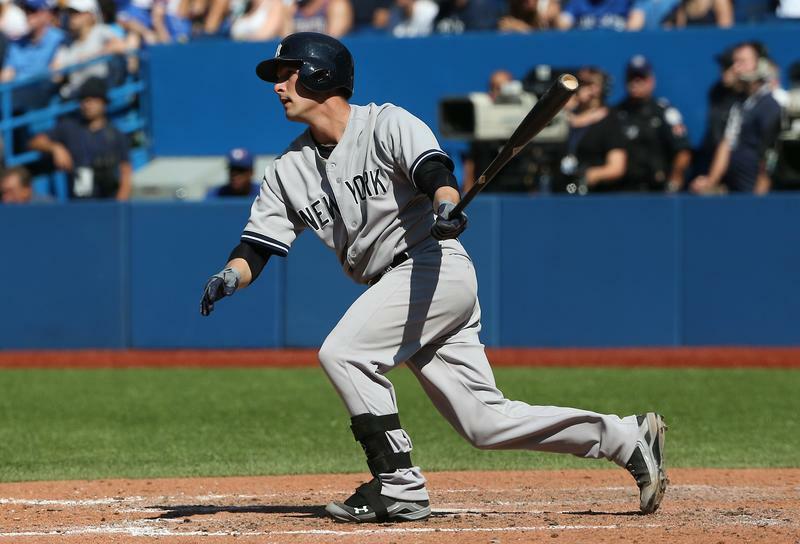 In a move that clears some of their outfield logjam and brings in a much-needed alternative to Kurt Suzuki behind the plate, the Twins traded 26-year-old center fielder Aaron Hicks to the Yankees for 24-year-old catcher John Ryan Murphy. It's a classic example of dealing from an organization-wide area of strength (young outfielders) to address an organization-wide area of weakness (catching), although that in itself certainly doesn't guarantee a successful trade. Hicks is a former first-round draft pick and top prospect who turned his career around this year, hitting .256/.323/.398 with plus defense in 97 games for the Twins after looking lost in his first two years as a big leaguer. As a switch-hitter with decent power, good plate discipline, excellent speed, and a strong arm he has all the tools needed to become an above-average starting center fielder, but Hicks is held back by his inability to hit right-handed pitching. Through three seasons and 247 games in the majors Hicks has hit just .206/.284/.311 off righties and his time in the minors tells a similar story. He's been great off lefties, hitting .272/.360/.447 in the majors after also crushing them in the minors, but until proven otherwise Hicks looks best suited to start 2-3 times per week when a lefty is on the mound--which is the role he'll probably fill for the Yankees initially--and that severely limits his long-term upside. Beyond that, even if Hicks shows enough improvement against righties to develop into a viable everyday player the Twins have no shortage of younger, higher-upside outfielders. By midseason their starting outfield could be Byron Buxton in center field flanked by Eddie Rosario and Max Kepler, and publicly at least the Twins have been talking about giving Miguel Sano some outfield action too. Oswaldo Arcia and Danny Santana are also still in the mix. 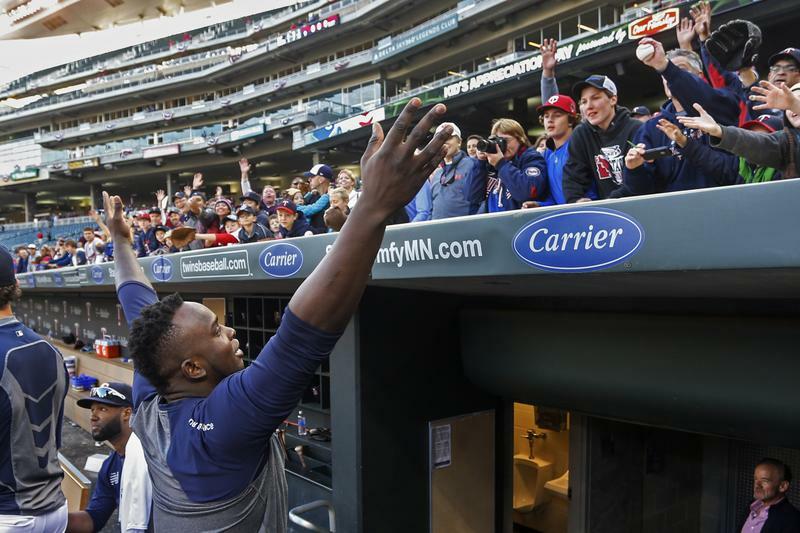 Hicks is already a very useful part-time player with the potential to become more, but counting on that transformation would require a leap of faith the Twins were clearly not willing to take and his long-term role in Minnesota was tenuous. Trading him coming off his first positive showing in the majors makes sense from a hypothetical value standpoint, but it's unclear if Murphy represents particularly good value in return. Murphy has served in a backup role for the Yankees, hitting .267/.311/.374 in 115 games spread over parts of three seasons. He got his most playing time this year, logging 172 plate appearances in 67 games, and hit .277/.327/.406. Those numbers would make him an above-average catcher offensively, but the sample size is very small, Murphy's poor 43/12 K/BB ratio is worrisome, and his track record in the minors is underwhelming. Last season he hit just .246/.292/.397 with six homers and an ugly 42/13 K/BB ratio in 51 games at Triple-A and Murphy has a career OPS below .750 at Single-A, Double-A, and Triple-A. There's little in his track record at any level to suggest he has significant upside offensively, but Murphy establishing himself as a decent-hitting catcher certainly seems doable considering the position's low standard for offense. Ultimately, though, this trade may hinge on Murphy's defense. He has a good defensive reputation and unlike the same being said of Suzuki the numbers don't totally contradict that notion. Murphy has thrown out 28 percent of steal attempts in the majors, which is right around the MLB average, and his pitch-framing has graded out as neutral. Small sample sizes are involved, so this is a case where the Twins' scouting evaluation of Murphy needs to be right. It would have been nice for the Twins to shoot a little higher in their search for catching help, but the free agent market is barren aside from Matt Wieters and trading for an established starting catcher would've required parting with more than just Hicks. To target a young backup with the potential to become a solid starter is a sound approach, but Murphy's skill set and track record leave room for plenty of skepticism that he fits the bill. 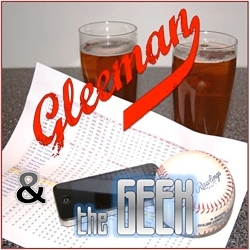 For a solid 90 minutes of Byung-ho Park talk and a look at the domino effect his arrival has on the Twins' lineup, check out this week's "Gleeman and The Geek" episode. 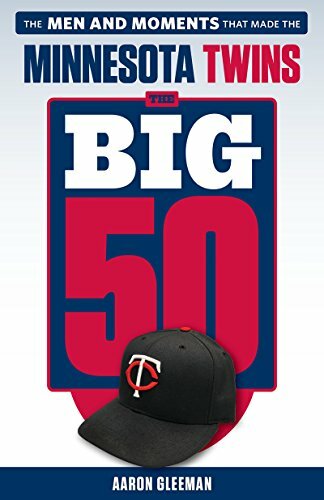 • Tyler Duffey allowed a grand total of one homer in 540 plate appearances between Double-A and Triple-A this season and then served up two homers in his Twins debut, including one to the second MLB hitter he faced. Based on the "game score" statistic Duffey had the seventh-worst debut start in Twins history. Who had the worst? LaTroy Hawkins in 1995. And then 21 years later Hawkins closed out the Blue Jays' win against the Twins in Duffey's debut. 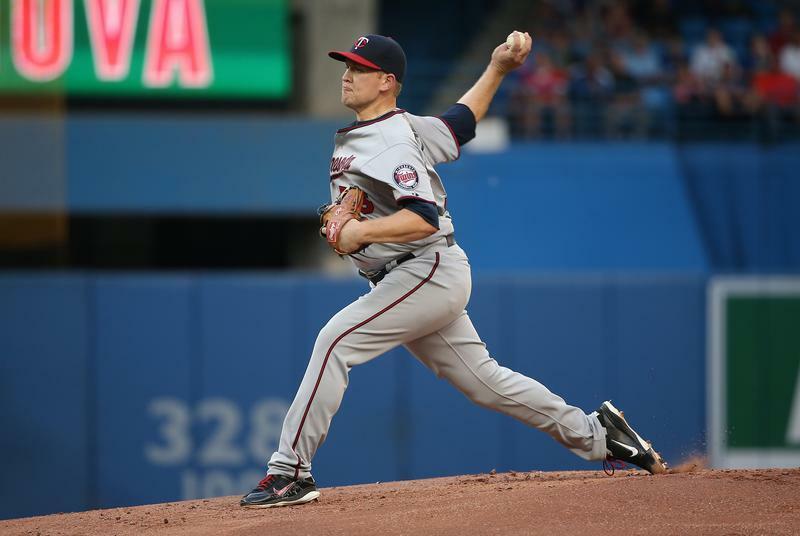 • Trevor May never deserved to be demoted from the rotation to the bullpen in the first place and hopefully the Twins remain committed to him as a long-term starter, but he's looked strong as a reliever. He's got a 3.18 ERA and 10/2 K/BB ratio in 11 innings along with increased velocity, which is probably enough to make him the Twins' best right-handed bullpen option over Blaine Boyer, Casey Fien, and trade deadline pickup Kevin Jepsen. • Rookie reliever Ryan O'Rourke is living up to the hype of being death to left-handed hitters, who are 2-for-21 (.095) with 11 strikeouts against him since last month's call-up. Using him in a very limited role remains crucial, but the Twins may have found a long-term bullpen piece in the unheralded 27-year-old southpaw. With a strong finish he should be able to secure a spot in next year's Opening Day bullpen, which won't include Brian Duensing. • Aaron Hicks' improved overall performance is very encouraging from a one-time top prospect who's still just 25 years old, but not being able to hit right-handed pitching remains a big issue. This season he's hit .375/.429/.578 off lefties and .228/.291/.315 off righties. For his career he's hit .288/.374/.466 off lefties and .197/.277/.287 off righties. Hicks is a switch-hitter, but in both the minors and the majors he's shown little ability to be an asset from the left side of the plate. 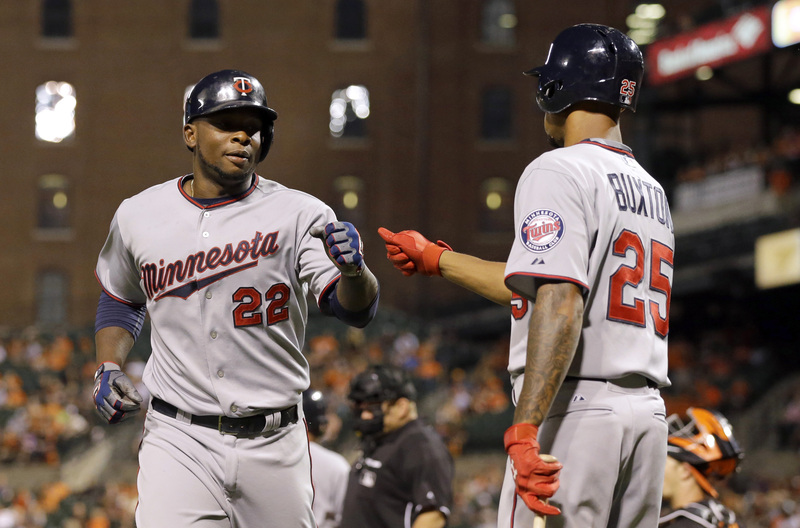 • Byron Buxton's long-awaited debut was cut short after 11 games by a thumb injury that he's still recovering from six weeks later, but fellow stud prospect Miguel Sano has immediately lived up to the hype. As expected he's struck out a ton and hit for a ton of power, but the 22-year-old has also shown incredible plate discipline with 21 walks in 27 games and an impressive ability to lay off borderline pitches. Twins fans should be thrilled with how he's looked so far. • There have been occasional signs of life, but sadly Joe Mauer has continued to look like a shell of his former, pre-concussion self. He's hit just .275/.346/.398 in 47 games since I wrote a "What happened to Joe Mauer?" article that examined the numbers since his late-2012 concussion and expressed very little confidence in his getting back on track. Mauer is now in his second season of being a below-average first baseman after a decade of being a Hall of Fame-caliber catcher. • Danny Santana got a longer leash than most struggling Twins prospects, but he's finally back in the minors after hitting .218/.242/.298 with a ghastly 66/5 K/BB ratio in 74 games and playing mistake-filled defense at shortstop. His great rookie season screamed fluke, but no one could have expected Santana to be this awful as a sophomore. However, his career .272/.316/.392 line and poor strike zone control in the minors are reasons to be skeptical of a big turnaround. • Liam Hendriks was the Twins minor league pitcher of the year in 2011, but he went 2-13 with a 6.06 ERA in 156 innings as a starter and they lost him on waivers for nothing. Still just 26 years old, he's found a home in Toronto's bullpen with a 2.47 ERA and 50/6 K/BB ratio in 47 innings. As a starter Hendriks always had modest raw stuff, topping out in the low 90s, but this season he's averaging 94.4 miles per hour with his fastball and topping out 97. For a lot more about Jepsen's arrival, Duffey's upside, and Hicks' improvement check out this week's "Gleeman and The Geek" episode with a special guest co-host.